I’ve been running low on ideas recently, and running even lower on things to use in my pantry. I know I haven’t made a cookie recipe in a long time, so I figured I’d go down that road…but what ingredients to use? Well, I haven’t made anything with coffee, so I figured that would be great! So, the outcome? 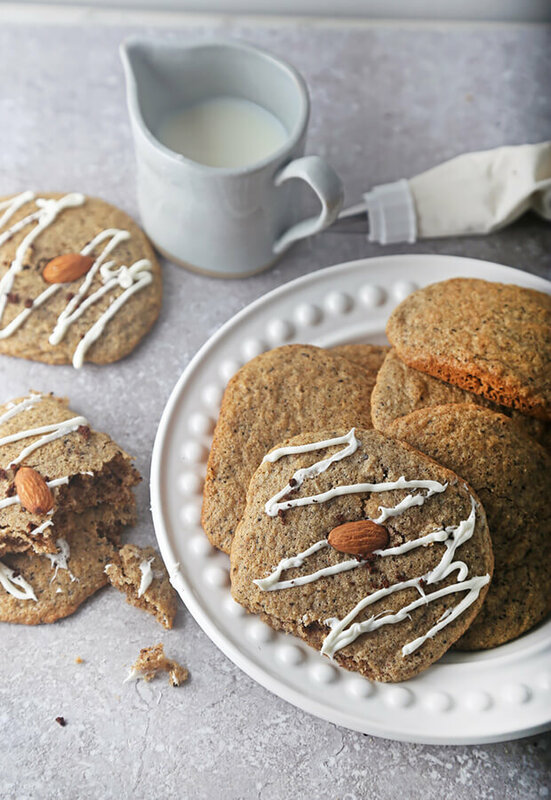 Delicious Vanilla Latte Cookies that almost have perfect macros for a ketogenic diet! I ended up making 10 really large cookies from this batch (about 6 inches diameter), but you could easily get 18-22 normal sized cookies if you want to. They expand quite a bit and become relatively thin, so keep that in mind when you spread them out on your cookie sheet. 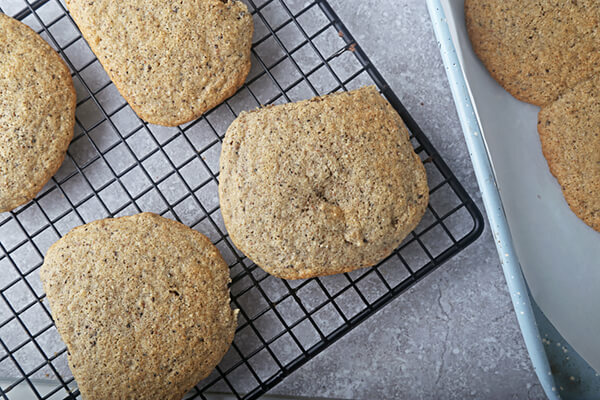 These cookies are mostly butter and almond flour, so they get that absolutely fantastic crunchy edge, but keep that super soft center. As you eat it you get some great texture going on – rigid crunches, decadent softness, and delicious flavors. With pretty much all my baking, I end up using my silpats where possible. They’re really pretty awesome. You don’t have to spray them or anything, they’re completely non-stick. If you’re the type that’s been using foil and cooking spray like I was, give these a try – they’ll change your mind about baking. Everything comes off of them with such ease, it’s incredible! 2. In a large mixing bowl, add 1 1/2 Cups Honeyville Blanched Almond Flour, 1 Tbsp. + 1 tsp. Instant Coffee Grounds, 1/2 tsp. Baking Soda, 1/2 tsp. Kosher Salt, and 1/4 tsp. Cinnamon. 3. 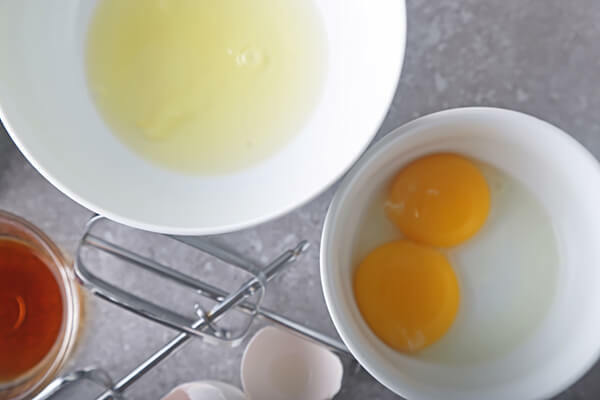 In 2 bowls, separate your eggs into whites and yolks. 4. Add your butter to a mixing bowl and microwave for 15 seconds if it isn’t already room temperature. 5. 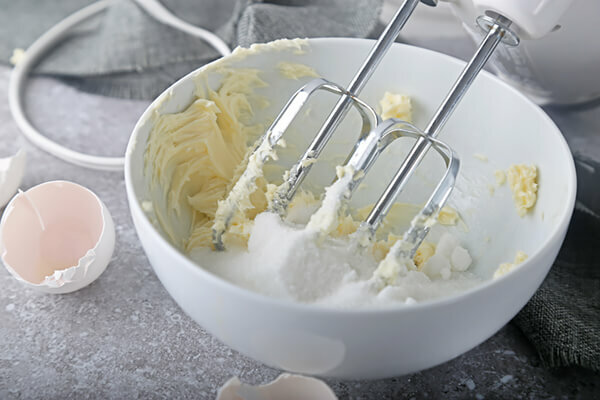 Whip your butter with a hand mixer until it’s creamy. Once it is, add 1/3 Cup NOW Erythritol and continue creaming the butter until almost white in color. 6. 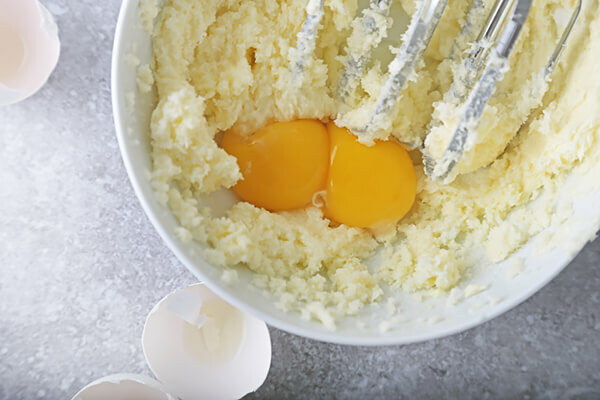 Add your 2 egg yolks tot he butter and continue mixing until smooth. 7. 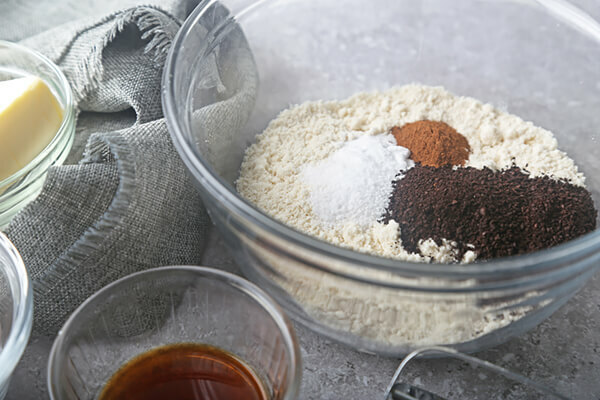 Mix together your almond flour, coffee grounds, baking soda, salt, and cinnamon until well distributed. 8. 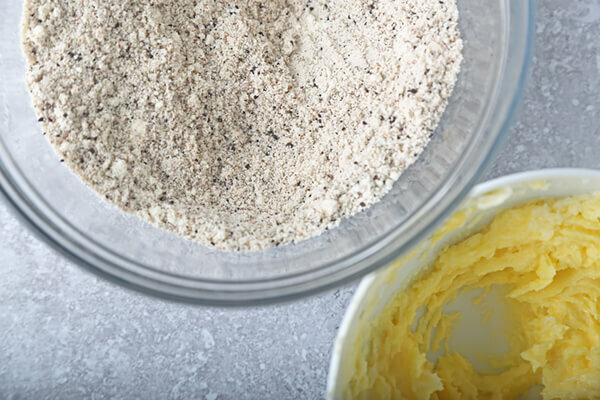 Add 1/2 of your dry ingredients to your creamed butter mixture and mix well. Once you do this, add 1 1/2 tsp. Vanilla Extract and 17 Drops Liquid Stevia. 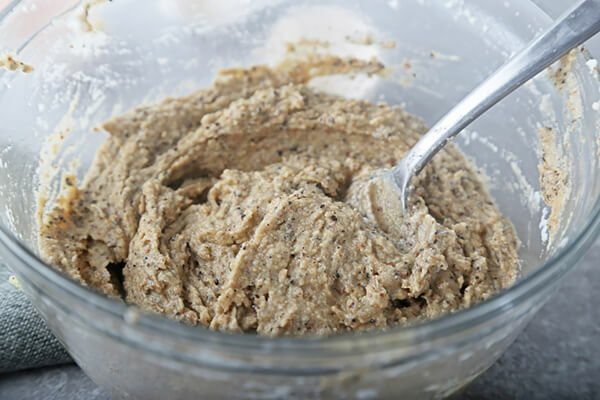 Add the rest of your almond flour mixture and continue mixing until thoroughly combined. 9. Beat your 2 egg whites until stiff peaks form. 10. Add your egg whites to the cookie dough and fold them into the dough. 11. Divide your cookie mixture onto a cookie sheet lined with silpats. 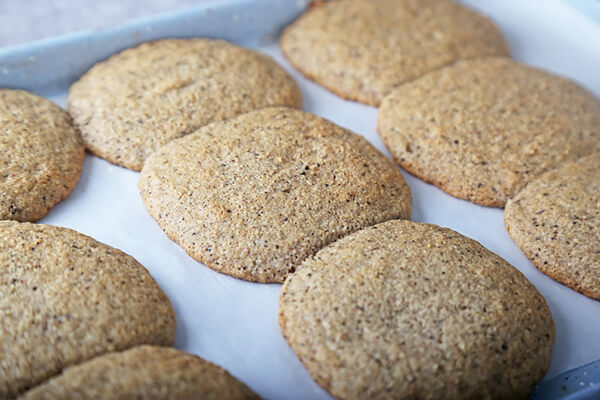 I made 10 total cookies and they were very large at the end – these cookies expand quite a lot! 12. Bake the cookies for 12-15 minutes. 13. Let the cookies cool for a few minutes, then remove them to a cooling rack for 10-15 minutes more. 14. Serve up with some double cream on top! 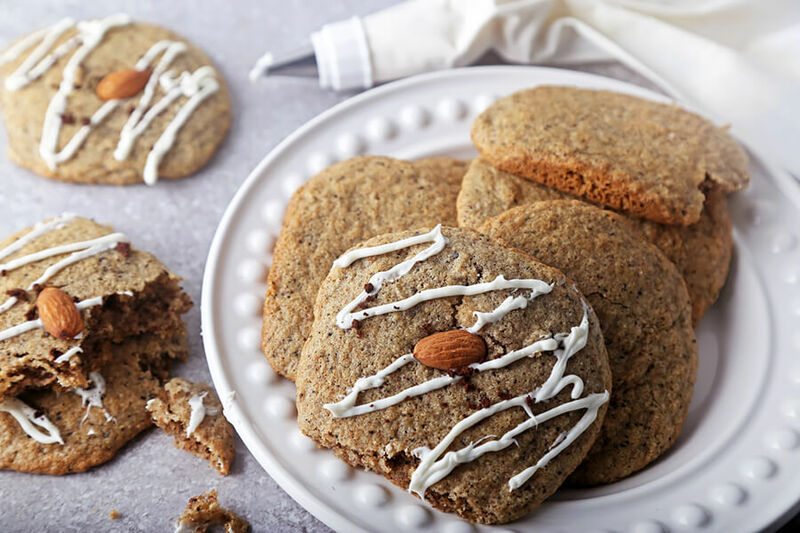 If you make 10 cookies, each cookie will have: 195 Calories, 18.56g Fats, 2.28g Net Carbs, and 5g Protein. In a mixing bowl, combine your almond flour, coffee grounds, baking soda, salt, and cinnamon. In seperate containers or bowls, separate your egg whites and egg yolks. In another mixing bowl, add your butter and beat it well. Add your erythritol to the butter and continue beating it until almost white in color. Add your egg yolks to the butter and mix until smooth. 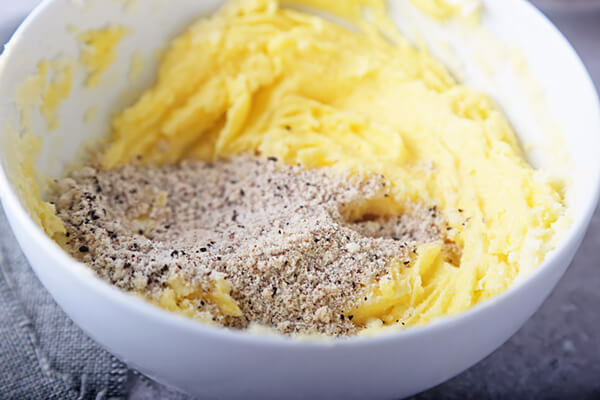 Add half of the mixed almond flour to the butter and mix it in. Add your vanilla extract and liquid stevia, then add the rest of your almond flour and mix well. 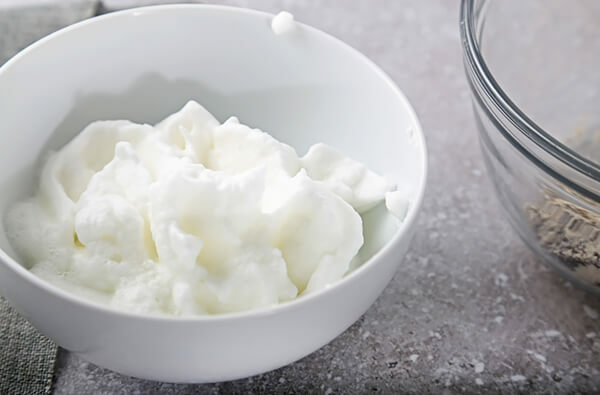 Beat your egg whites until stiff peaks form. Fold the egg whites into the cookie dough. Divide your cookies on a cookie sheet, I made 10 large cookies. Bake them for 12-15 minutes. 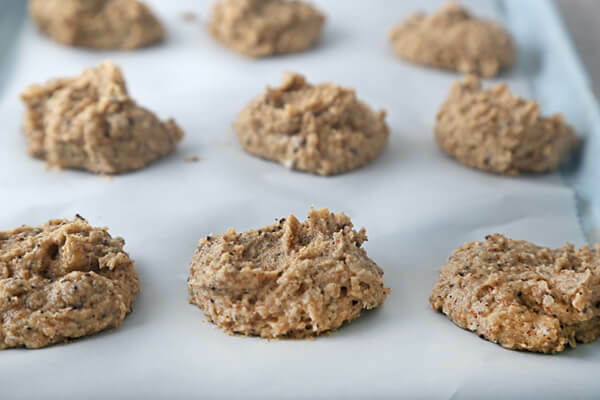 Once finished, remove the cookies to a cooling rack for 10-15 minutes.